Whether you promote content that is fresh or seasonal, evergreen or topical, your endeavor will be meaningless if it doesn’t make your readers sizzle and pop with excitement. How do you capture the attention of your audience without crafting content from scratch? Perhaps all you need is a high-quality photo. Not a bland, lifeless image, but an attention-grabbing picture — one with a story behind it. Maybe you need a series of compelling images if you’re marketing a lengthy content piece. Color visuals increase a person’s willingness to go through a content piece by 80%. Posts or articles with images receive 94% more views than posts or articles without images. Understanding of content jumps from 70% to 95% with the integration of images. How’s that music for your ears? High-quality imagery is hard to come by without a significant investment. Having access to a number of free, high-quality, stock-image sites can make it easier. To this end, I’ve put together a list of free cream-of-the-crop sites. Unsplash: Ten new images are released every 10 days under the Creative Commons Zero license. The uniqueness of the images is what makes this resource intriguing. There are several high-resolution photos to choose from, with exceptional effects and almost Instagram-style filters. Every image features a link to the photographer’s bio in case you want to know more about a certain image. Just scroll through the Unsplash royalty-free photo collection to discover mystical mountain ranges, faraway rivers, and even natural roads in their high-resolution glory. With several options to choose from, you won’t be forced to use any cheesy handshake shots in your content. StockSnap.io: The site says it’s “not your typical crappy stock photo site.” StockSnap adds hundreds of high-resolution versatile and interesting photos each week. The site also has a search bar that makes it easy to discover images for a specific keyword. Additionally, StockSnap sorts photos by date, views, trending, downloads, and favorites. All images fall under the Creative Commons Zero license. Therefore, users can modify, copy, and distribute any image on the website without asking for permission, even commercially. Magdeleine: Featuring a collection of hand-picked photos for your inspiration, this site has categories for people, animals, food, nature, city & architecture, objects, abstract, and technology. The majority of photos include color images but there’s a decent collection of black-and-white images as well. Users can switch the user interface between light and dark from the top right of the screen when navigating through the site. Additionally, they can see the dominant colors and dominant tags that have been used to search for photos. Each image includes a link to the photographer to help users see his/her image collection to date. Images on Magdeleine fall under the Creative Commons Zero license, but require attribution. SplitShire: Italian creative Daniel Nanescu built this website with the goal of giving life to images that would have been dead without utility. The stock images on SplitShire have received more than 6 million page views, and over 600,000 downloads. From sleek work stations to striking portraits, you won’t find it difficult to pick a photo for your next blog post or social media update. Categories include abstract, animal, fashion, automotive, food, street, technology, nature, things, people, wedding, landscapes, blur backgrounds, interior, low poly background, still life, various, mock up, bokeh, and video. When users open a particular image, they also get to see suggestions of similar images. Photos on SplitShire are free of standard copyright restrictions. Gratisography: The images on this website are quirky, striking, evocative, and often surreal. All photos are taken by the talented Ryan McGuire of Bells Design. The free stock-image site has categories for animals, nature, objects, people, urban, and whimsical. You can subscribe to receive an email alert when new pictures are added to site. A search bar at the top of the page can be used to find keywords. All images on Gratisography are under the Creative Commons Zero license, so they’re free to use. Pixabay: This site offers thousands of free photos and videos. Users also can download vector graphics and illustrations. Pixabay enables you to choose between vertical and horizontal orientation, and define if you want an image to be larger than a particular width and height. Users can search for a particular keyword, and limit the search to a particular category if desired. Pixabay also offers images handpicked by the site’s editorial team. Moreover, you can see the latest or the most popular images available on the website. Users don’t have to deal with any confusing photo licenses; photos can be used in printed and digital form without attribution, for both commercial and personal purpose. Pexels: A vast collection of free stock images, the site receives 50 new additions of high-quality photos every day, which increases the Pexels library’s stock by 350 high-quality photos each week. All images are handpicked from other free stock-image sites, and users are given the option to explore categories, photos, and photographers. You can see which photographer is leading the race in terms of downloads in the leaderboard section on the website. Additionally, users can see the most popular photos from the last 30 days, and the most popular search terms used on the website. All photos on Pexels fall under Creative Commons Zero, so they are free to use for any commercial and personal purpose. The use of captivating photos isn’t just about injecting visual media into text — it improves content performance across the board. 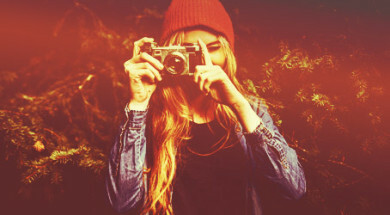 Leaders in content marketing use a variety of images to build and share their brand story. Now you, too, can leverage visuals to improve your content footprint. These free stock-image sites will ensure that you secure high-quality images without spending a fortune. Want to up your content marketing game even more? Download the 2016 Content Marketing Playbook. Itai Sadan founded Duda to help small businesses connect with potential customers anywhere, anytime and anyplace. Prior to founding Duda, Itai was a director at SAP where he managed the SAP Discovery System program and was in charge of relationships with IBM, HP, and Fujitsu. At age 21, he also founded InterSight, a start-up for data storage. Itai has a BSc in Computer Science and Mathematics from the University of Ben Gurion in Israel. Connect with him on LinkedIn.